Newlyweds Prince Harry and Meghan Markle honored Harry's father, Prince Charles, at an early birthday celebration Tuesday. The Duke and Duchess of Sussex attended a fête at Buckingham Palace ahead of Charles' 70th birthday in November. The event marked the couple's first public appearance since their wedding. Tuesday's party was the first of several events in the coming months to mark Charles' milestone birthday. Harry honored his father's long history of charitable work in a speech at the celebration. "I ask everyone here to say a huge thank you to you, for your incredible work over nearly 50 years," Harry said. "Work that has given self-confidence and opportunity to thousands of young people who might not have had the best start in life; Or to champion causes like climate change ... and above all, for your vision and ability to bring people together to make change happen." "You have inspired William and I, and looking out here today, it is clear to see that we are not alone," he added, referencing brother Prince William. "You have created an incredible body of work that has, and will continue to make such a huge difference to so many people's lives both here and around the world." People reported 6,000 representatives from Charles' charities attended the fête, along with members of the emergency services who responded to the Manchester attack in 2017. Tuesday marked the one-year anniversary of the bombing at an Ariana Grande concert that killed 22. 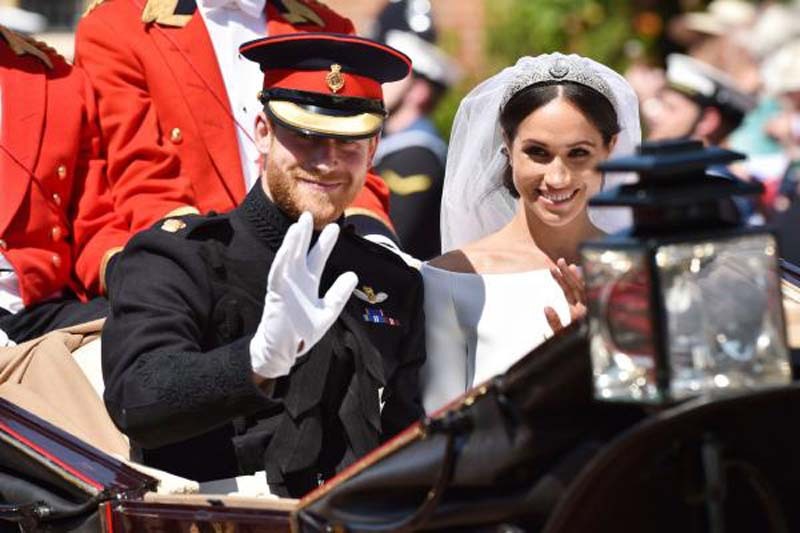 Harry and Markle tied the knot Saturday, May 19 at St. George's Chapel at Windsor Castle. George and Amal Clooney, Serena Williams and Alexis Ohanian and Oprah Winfrey were among the celebrity guests.